Today I’m sharing a card made with the July Hedgehog Hollow Sunny Studios box. Of course if you watch the video you will see I did things the hard way  You can buy a box here and see my unboxing here. Firstly I used the Ric Rac Border Dies to cut two pieces of ric rac in both blues, the teal and the white grey. Then I grabbed my Distress Oxide in Salty Ocean and Antique Linen along with some cheap makeup brushes. I then created some sand with the Antique Linen and sky with the Salty ocean. The sand wasn’t getting dark enough for me so I grabbed a blending tool to add a darker layer. To create clouds in the sky I used some paper towel and water. Things got crazy with the water when I changed my mind how it was going to look mid way ☺ I decided to use a piece leftover from cutting the ric rac as my horizon and then worked from there. Alternating colours and using the grey as whitewash and breaking waves. The cuties were stamped in Memento Tuxedo Black on my Stamp Platform and then coloured with Copics. I hope you enjoyed the card I made with the July Hedgehog Hollow Sunny Studios box. Hope you are creating some arty crafty alchemy yourselves, by for now. Today we find out who won the 100 Sub Party giveaway. Following on from that is a card using Hedgehog Hollow, Waffle Flower and Pretty Pink Posh . The sequins may have thrown up everywhere. Tow cards were made before the video using the Hedgehog Hollow Sweet die. Both the positive and negative die cuts were used so I didn’t waste any of the sparkly paper. One was coloured with copics like in the video, the only difference being that R21 and R22 were used for the cheeks and ear. The white embossing was done with Hero Arts White embossing powder. For the mouse on the negative die cut I used the Aldi Graphic Markers. They do bleed a little on Neenah though. The sentiments on this one were done with LDRS ink from the March box and then embossed with the clear embossing powder I received in the box. The background was stamped with the Waffle Flower Sweet Ice Creams using LDRS inks from the march box and Archival inks. I used Promarkers with detail nibs to fill in the ice creams behind sweet as I didn’t think to stamp the whole panel only the edges. For the card in the video I used copics and added some shimmer to the ice cream with a wink of Stella shimmer brush pen. The sentiments were stamped with the Nuvo Embossing pad from the box and Hero Arts white was used again. I used Clear Kool Tak foam tape to raise the mouse and sentiments. I added some Pretty Pink Posh sequins to finish the card. All mice were stamped with Memento ink. Congratz to the winners of my channels first giveaway :). 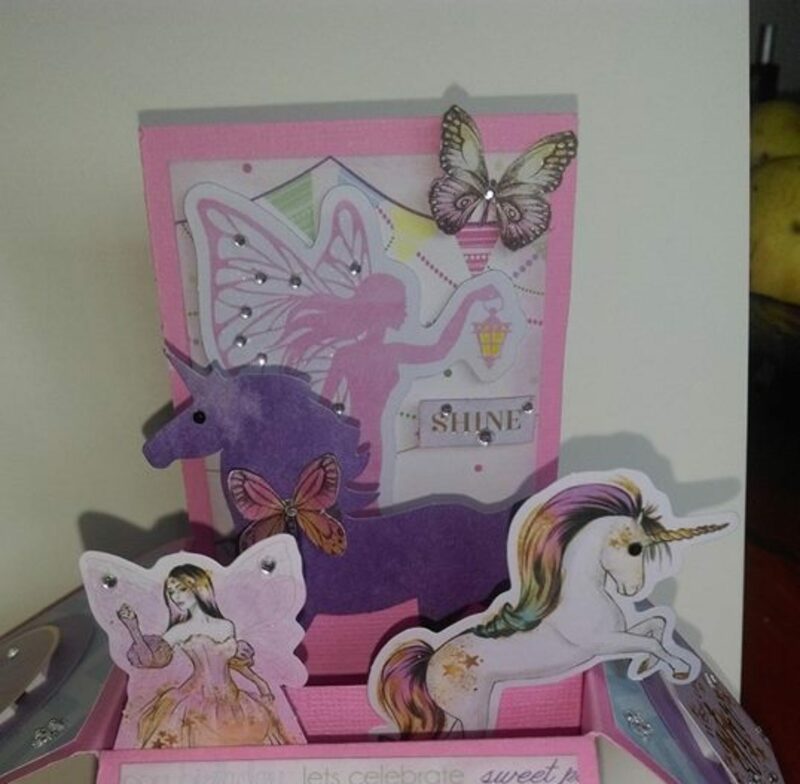 Hope you all enjoyed these cards (I am in two minds, I should have used plain backgrounds with the sequins) and are enjoying some arty crafty alchemy of your own. My next box has landed in Sydney so should here next week. Plus I am super excited to share some cards I make with the Super Hero Chip Melinda sent me. Ciao for now.